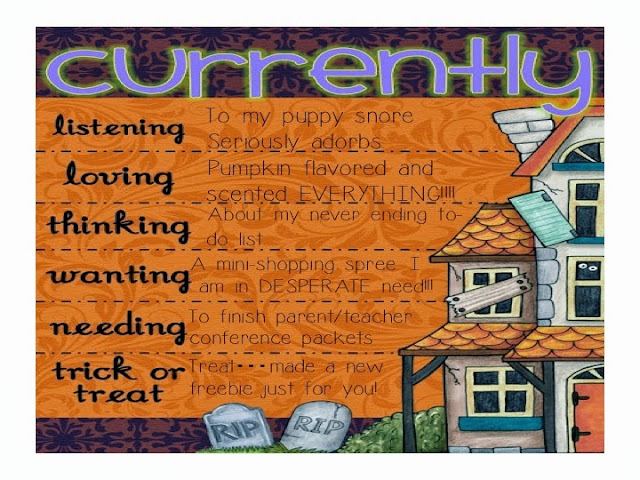 A Rocky Top Teacher: Lions and tigers and October's Currently...Oh my!! Lions and tigers and October's Currently...Oh my!! Like most teachers, I keep asking where time is going. I mean..seriously folks...it's OCTOBER!! Fall, pumpkin patches, mums, leaves, smores, campfires....ahhh fall. Listening...to my Bichon snore. It is adorable. Loving...all of the pumpkin-ish things out there. I have now switched from my caramel iced coffee to pumpkin iced coffee. 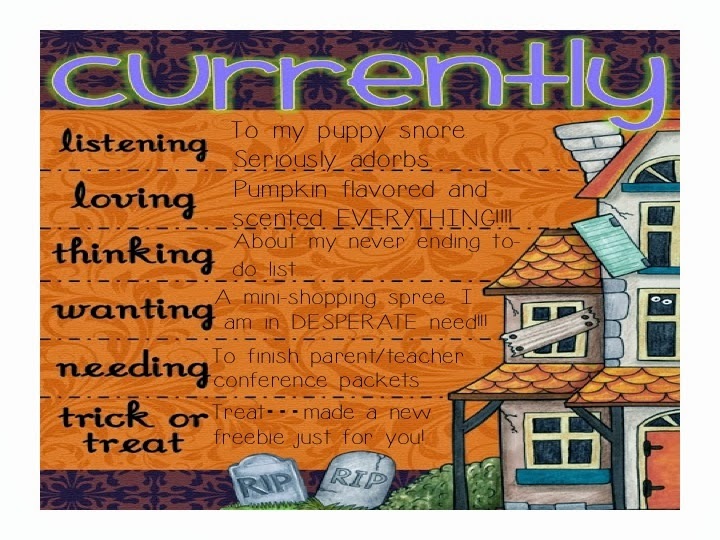 And, my scentsy is now putting off a pumpkin spice aroma. :) As we say here is Tennessee...it's fall y'all! Thinking...that my to-do list will never end. To be honest..if it did end then I wouldn't know what to do. Needing...to finish my parent/teacher conference packets that start Thursday. Trick or treat...treat time! Grab my newest freebie here. I revised my poetry homework menu! My to-do list never ends either! Good luck getting it done! I'm also loving all the pumpkin things. I've never tried a pumpkin iced coffee, though, so I might have to do that soon! Ahh, the never ending "to-do" list...sometimes I just cover it up with a pile of stuff and pretend it isn't there! Had my pumpkin candle burning this evening! Love it!